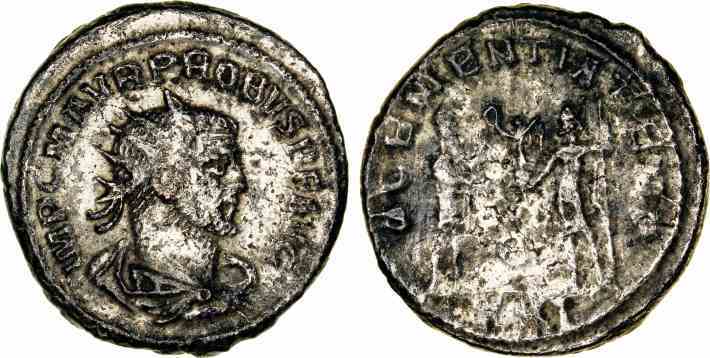 Silvered bronze antoninianus, 21mm, 4.28gm, issued AD 280/281. Antioch mint. Rev: CLEMENTIA TEMP (XXI in ex. ), Emperor receiving Victory on globe from Jupiter, Ⲉ below.